Have you ever sat under a tree in the summer in order to escape the heat or stood behind a wall in the winter to avoid the chilling wind? While it maybe second nature for us to take advantage of landscape or hardscape to help control our body temperature, did you know you can do the same for your home? Your landscape can take advantage of these same benefits, making your home more energy efficient. Today we’re going to talk about some energy efficient landscaping facts and tips! The U.S. Department of Energy’s efficiency studies show that shading under trees close to ground level can reduce surrounding air temperatures by 25 degrees compared to air temperatures above nearby blacktop paving. A shade tree can save up to 25% of your home’s energy for cooling. Landscaping that creates windbreaks can cut winter healing by up to 30%. Computer models devised by the U.S. Department of Energy predict that the proper placement of only three trees will save an average household between $100 and $250 in energy costs annually. Dense windbreaks such as evergreens can block wind speed by 85%. Plant them so that they block northeast winter winds. Use hardscape and other plantings near your home to create dead air space, which can act as an insulator for your home. Maximize summer shade with large trees, especially in a way that provides shade to roofs, walls, and windows. Add lattice with climbing vines to areas in direct summer sunlight. These vines can help shade your home and allow cooling breezes. Use hardscape such as patio made of stone or concrete – it will soak up summer heat and reflect it during the winter. How energy efficient is your home? Have you ever thought about the benefits of landscaping for energy efficiency? Is your home naturally shaded by large trees or did you have to plant your oaks and evergreens? 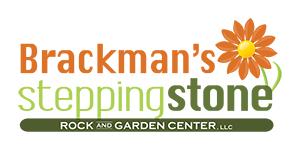 If you would like the professionals at Brackman’s Stepping Stone Rock and Garden Center, LLC to help with any of your landscaping or gardening needs, give us a call today at 601-264-2886 or email us at thesteppingstone@live.com. Does your lawn or garden have large shaded areas? Have you been trying to figure out what to do with these areas for months or even years? While many people think nothing except moss, lichen, or a foliage garden will grow in these areas, that just isn’t the case! There are plenty of grasses, vegetables, plants, and flowers that can grow in shaded areas. Keep reading to learn what types of greens grow best in the shade and how you can grow them to their fullest potential. While most all grasses prefer sun, some tolerate the shade more than others. If you have large shrubs or trees that are blocking sunlight, try to thin them out as much as possible, allowing the maximum sunlight to reach your grass. Your goal should be allowing at least 4 hours of sunlight to reach your grass each day. Using the adequate amounts of fertilizer and watering properly will also help to ensure your grass is healthy, even in the shade. Most vegetables will need three to six hours of sunlight each day or consistent, dappled sunlight throughout the day. While not all vegetables (especially fruits/roots) will grow properly in the shade, there are still plenty of vegetables that you can grow in shaded areas. There are even benefits to growing vegetables in the shade such as: less frequent watering, crops like lettuce and spinach may grow longer without too much heat, and adding a garden in a shaded area will give you more room to grow something else in sunny spots of your lawn! 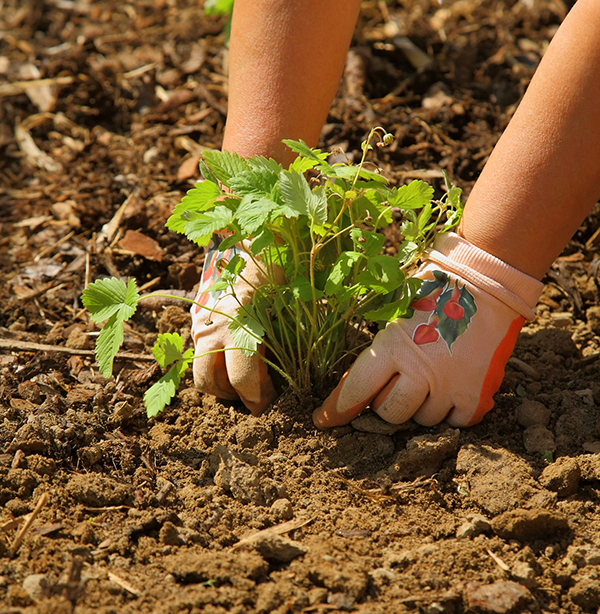 Plants and flowers that grow well in the shade are usually better protected due to nearby trees and shrubs that blockout summer heat or winter winds. Even better, you don’t have to rake up leaves that fall on or near your shaded plants. 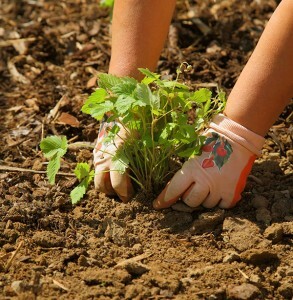 The leaves will provide a natural mulch that both enriches the soil and helps prevent weed growth. Do you have a vibrant garden growing in the shade? What are your favorite plants, vegetables, or flowers to grow in the shade? Leave us a comment below or tell us on Facebook! Landscaping improves the overall look of your home and can provide hours of outdoor relaxation. How can you have the best looking landscaping in the neighborhood without breaking the piggy bank? If you love the outdoors, gardening, and working in you yard, but don’t have a huge budget for landscaping, we’re here to help. Today we’re going to look at 5 simple tips that can help you save money and still design beautiful landscaping. 1 ) Use Native Plants – Some foreign plants can be more expensive and may have a harder time flourishing. If you’re not sure which plants are native, ask a expert like your local garden center. Not only can they help, but shopping locally also supports your local economy. 2 ) Time Your Buying – You don’t have to purchase all of the plants, grass, and trees for your landscape at once. Plan your buying around your budget. Likewise, you can often save money by purchasing certain types of landscaping materials in their “off months.” Read more about fall landscaping for NEXT summer. 3 ) Cheaper is Not Always Better – Many home improvement stores sometimes offer cheaper prices on common plants. However, they may not offer the same quality, selection, and service that you receive at local garden centers or specialty stores. 4 ) Team Up With Neighbors – Save money on that DIY project by sharing the expense with friends or neighbors. How? Plan a weekend where you both need to rent landscaping equipment and share the cost. Have a large landscaping project? It’s important to remember that, often times local landscaping professionals can actually save you money and time. 5 ) Use H2O Intelligently – The EPA has done studies that show that 20% of total home water use is actually outdoor water. Choosing plants that don’t require as much water, as well as installing an irrigation can save water and save you money in the long run. What money-saving landscaping tips do you have to share with us? Do you compost to save money on fertilizers? Use seeds and trimmings to grow new plants? Leave us a comment below and share your own tips!